As Christmas and New Year’s Eve approaches, bars are bound to be swamped with patrons. Since the masses can be overwhelming and pose significant dangers, barkeepers and bar owners should be aware of the proper way to control a crowd. Further, a Sports Bar Insurance Program can help to reduce additional liabilities that they are exposed to during the hectic holiday season. Turnaround Time- Experts recommend making eye contact with each guest and providing them with menus as soon as possible so they can make their selections. Further, this will afford the bartenders more time as they mull over the menu and work to reduce the crowds. If someone seems indecisive, offer a few specials that they might enjoy and make recommendations on popular food items, if applicable. Bartenders should still place their focus on customer service and remain polite and helpful. Greet and serve immediately and let patrons know that their requests will be fulfilled as soon as possible. Ask for Help- If the bar is swamped, managers should step in to control the crowds and improve turnaround time. Give specific tasks to bartenders, barbacks, servers, etc. All of the waitstaff should work together to serve customers. Clearly Mark Exits- People tend to pile up behind the bar and even line up out the door when it is really busy. However, safety should be the first priority, which means exits should be clearly marked and unblocked. Barricades should also be placed to direct crowds, if necessary. Plan Ahead- According to Crowd Safe, there must be a clear understanding by all involved of the chain of command and the duties that each person is to perform. As people are going to be consuming alcohol, enough security and bouncers should be present to manage the crowds. 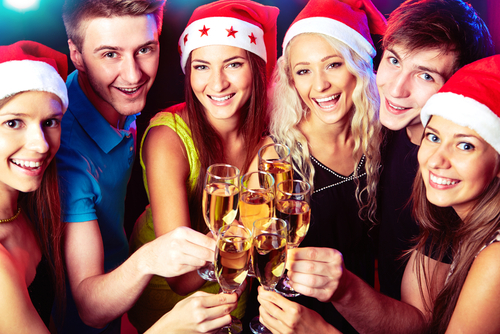 At RMS Hospitality Group, we want to ensure the holiday season ensues without incident. Our customizable policies are crafted specifically to protect the risks that the hospitality industry commonly faces. To learn more about our operations, contact us today at (888) 359-8390.